Nothing can boost your productivity quite like an iPhone loaded with a selection of some of the best productivity apps out there. With them, you can easily take notes, collaborate with your coworkers and partners, bookmark interesting web articles, or remotely access all your files, keeping them securely stored in the cloud. But how do you know which apps to install and which to ignore? After all, having to go through hundreds if not thousands of productivity apps on the App Store just to find a handful of hidden gems hardly sounds like a productive activity. That’s why we’ve selected top 5 best productivity apps for your iPhone for you, based on our experience and online reviews. 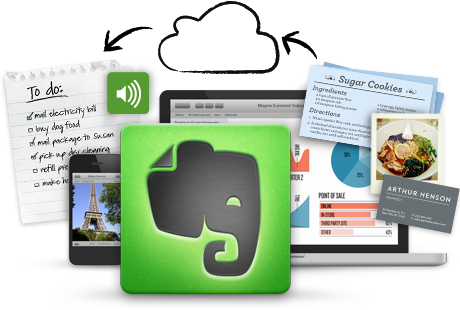 Evernote is our go-to way how to organize our personal and professional projects. The user experience revolves around ideas and ways how to capture them and keep them organized. Evernote supports many types of these ideas, also called notes, including text, sketches, photos, audio, video, PDF documents, web snippets, and others. You can even use the camera in your iPhone to scan and digitize paper documents or handwritten notes. Besides the warm and fuzzy feeling of knowing that you’re doing something good for the planet, using Evernote to digitize documents gives you the ability to filter them using tags and concise descriptions. Individual notes can be placed in separate notebooks and enhanced with checklists, reminders, to-do lists, annotations, and other intelligent features. Moreover, everything is seamlessly synchronized across all your devices and safely stored in the cloud—that’s something you just don’t get from your average overpriced hipster notebook. If you frequently collaborate with others and brainstorm, Evernote has you covered. A single note can be edited and viewed by multiple people at the same time, which can be extremely productive in the business setting where different people assume different roles and responsibilities. Best of all, the free version of Evernote is actually useful, and the app doesn’t try to cram a premium plan down your throat every five minutes. With the Basic plan, you get 60 MB of new uploads per month, the ability to sync across two devices, share notes, and add a passcode lock to protect your privacy. A tier above the free plan is the Plus plan, which costs €29.99 per year. It unlocks features such as offline access, email forwarding, and customer support via email. You also get 1 GB of new upload per month, instead of just 60 MB. The most expensive plan, called Premium, costs €59.99 per year, and it bumps the upload limit even further, to 10 GB, and unlock every feature of Evernote. With an average 48.6% reduction in internal email, and 25.1% fewer internal meetings, Slack represents a modern way how to communicate and share ideas. Physical meetings or standard forms of online communication share one common problem: they often create more problems than they solve. Miscommunications happen, key players are left out from the conversation, and it’s hard to remember who said what just an hour ago, let alone a week or a month. 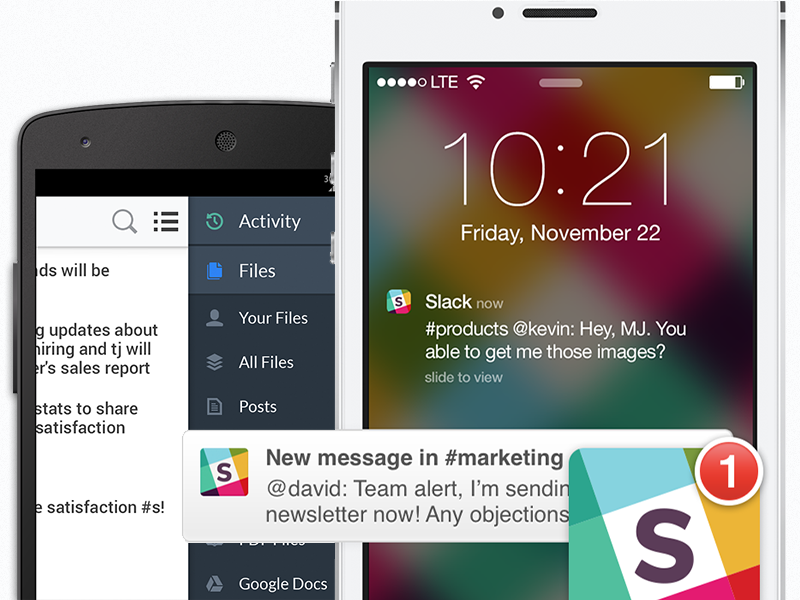 Slack organizes your conversations in multimedia-enabled, persistent channels. Team members can join these channels and scroll back through everything everyone has ever said. It’s possible to upload images, PDFs, documents, and spreadsheets just by dropping them into Slack, where they stay stored for later reference while being completely searchable. And we’re not talking only about your local files; Slack integrates with other popular online services, such as Dropbox, Google Drive, Twitter, Asana, or SoundCloud. Slack has a free version for teams wanting to try it out. It includes searchable message archives with up to 10,000 of your team’s most recent messages and 10 apps or service integrations. Given the nature of the app, it makes sense to purchase the Standard plan right away, which costs $6.67 per active user per month when billed annually and $8 when billed monthly. There’s also the $12 Plus plan ($15 when billed monthly), which includes everything the Standard plan does and throws in 99.99% uptime guarantee, 24/7 support, 20 GB file storage per team member, SAML-based single sign-on (SSO), and a few other things. 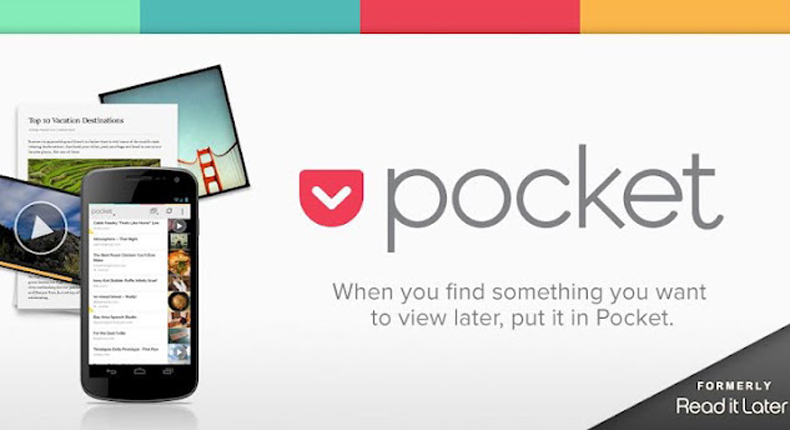 On its official website, Pocket currently proudly states that the app has 22 million users who collectively saved 2 billion items for later consumption. Given that Pocket is hardly the only app on the App Store that offers this functionality, those two figures are a strong hit that the developers have managed to create a superior product. They accomplished this with a highly-polished user experience combined with a beautiful reading experience. With Pocket, it’s not just easy to save an article, video, or link for later, it’s also more enjoyable to consume the content, thanks to the easy-to-view layout that’s free of distractions. Pocket also helps you discover the most popular stories out there, and the app allows you to share what you’ve found interesting with your friends and social media followers. Most users stick with the free, ad-supported version, but there’s also a Premium plan available for $44.99 per year. After you upgrade to Premium, you won’t ever see ads again, and Pocket will turn into a permanent storage space and a personal backup of all the articles and webpages you save. 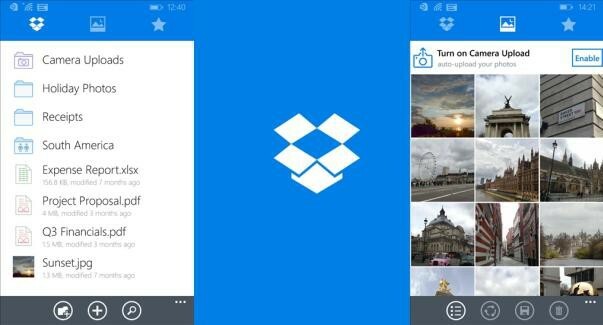 Initially released in 2007 by MIT students Drew Houston and Arash Ferdowsi, Dropbox has greatly popularized the concept of personal cloud file storage and established itself as one of the most popular file hosting service providers. What makes Dropbox so appealing even to casual users is how easy it is to wrap one’s head around how it works. The client software—which can be installed on Linux, MacOS, Windows, Android, BlackBerry OS, iOS, and Windows Phone—is a gateway to your personal online file cabinet where you can save any kind of file, keeping them automatically synchronized across all your devices and available even when you’re offline. The latest version of Dropbox can conveniently preview most file formats, and it even supports collaborative file editing. What’s more, Dropbox can automatically backup photos from your iPhone and organize them by date. Dropbox Basic accounts start with 2 GB of free space, and the service makes it possible to earn up to 16 GB of additional space by referring your friends to Dropbox or participating in various promotional deals. If you want more space and some handy extra features, you must pay €8.25 per month for the Pro plan, which includes 1 TB of storage space. Paper is definitely not just another note-taking app for the iPhone. This blend of notes, photos, and sketches is the ideal way how to get something down fast. You can easily create written notes with checklists, draw on photos or quickly spotlight details, and create sharp diagrams, charts, and drawings. Everything is automatically synchronized, allowing you to see your ideas in one place and share them with others. 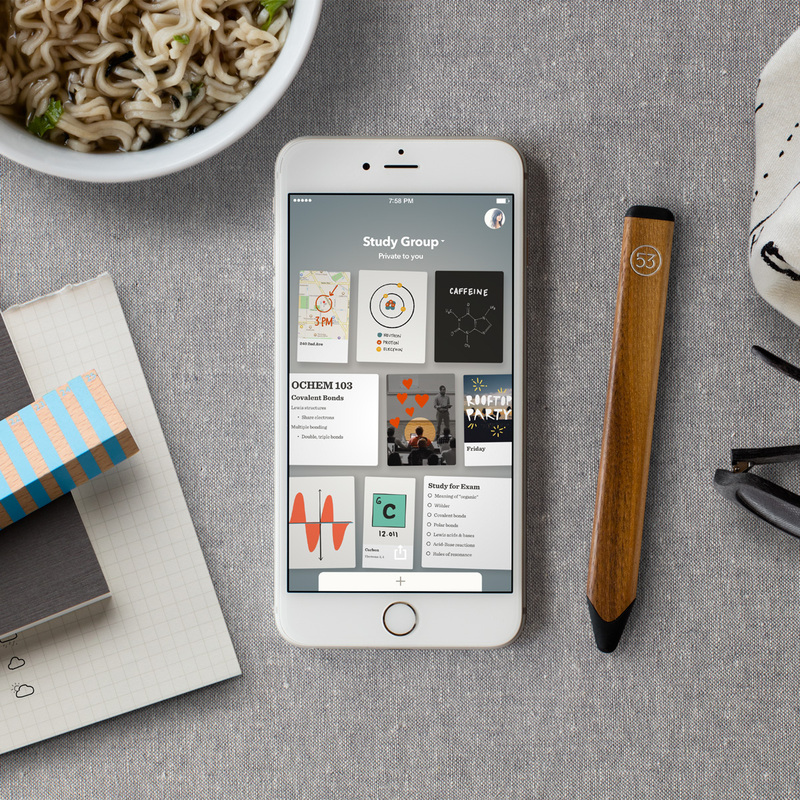 The developers of the app, FiftyThree, have also designed a unique stylus, called Pencil, for use with the app and a number of other iOS apps. Pencil has a pressure-sensitive tip, which makes it possible to easily draw anything from fine lines to broad strokes. The end of the stylus works like an eraser, and the software inside is smart enough to instantly know whether it’s your hand or Pencil touching the page. You can currently get it on Amazon for just $29.95.